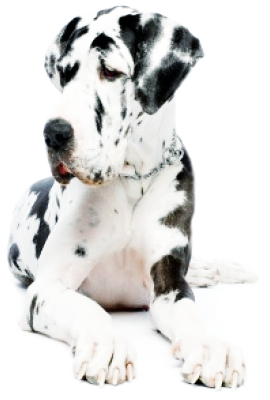 Companion Sciences, Inc. - Creating safe treatments for our beloved pets. To develop and commercialize a medication specifically designed to treat anemia in cats and dogs. Of the 144 Million companion animals in the U.S., approximately 1 Million each year will become anemic. After losing their cat, Cassie to severe anemia, Dr. Nicole and Tom Gerbe teamed with Dr. Pete Schatz, an expert in the development of anemia drugs. Their goal is to develop a safe, effective anemia treatment for cats and dogs. There is currently no FDA approved treatment for anemia in cats and dogs, even though an estimated 1 Million companion animals have the condition each year. Veterinarians often have to use medicine intended for humans to treat conditions, like anemia, for which there is no treatment specifically designed for pets. For years, veterinarians and pet owners have been faced with the choice of treating cats and dogs with a potentially dangerous human drug (EPO), or not treating the anemia at all. Unfortunately, animals frequently have a severe autoimmune response to human EPO. Instead of curing the anemia, the drug makes it much worse. The team has set up in a state of the art lab in Silicon Valley, where they screened more than 1 Billion different DNA-encoded molecular structures, looking for ones that bind to a particular cell surface receptor in cats and dogs. Activation of this receptor causes bone marrow to generate more red blood cells, curing the anemia. A number of positive hits were detected, providing a solid foundation for discovery of a safe and effective medicine. Following FDA approval, this anemia treatment will be available to help cats and dogs across the US. Chronic Kidney Disease (CKD) is common in older pets. It is a progressive loss in renal function over a period of months or years, which is about seven times more likely to occur in cats than dogs. As pets age, their kidneys lose the ability to filter blood. Has your pet been losing weight? Loss of apetite, and weight loss are common symptoms of kidney disease. Your pet's gums should be pink. If they are pale, this could be a sign. Has your pet been lethargic? Cats are lazy, but is she lazier than usual? If detected early, the progression of kidney disease can be slowed through medication and diet changes. Switching to a food that is low in phosphorus can be less taxing on your pet's kidneys. If your pet is 12 years or older, simple, inexpensive blood tests can detect kidney disease. Take your pet to the veterinarian and get him checked out. Knowing early is the best defense. PETE SCHATZ Ph.D, CSO, co-founder - Has 22+ years of drug discovery & development experience in biotech and large pharma environments from early drug discovery through to Phase 3 clinical trials and successful regulatory filings with FDA. Pete is co-inventor on 30 issued US patents and co-author of over 45 scientific publications. He most recently was Senior Director of Biology at Affymax, Inc. where he helped invent, develop, obtain FDA approval, and commercialize OMONTYS©, a treatment for anemia in humans. NICOLE GERBE DVM, Veterinarian, co-founder - President-elect of the Long Island Veterinary Medical Association; alumni of Cornell Veterinary School; treated many animals for Chronic Kidney Disease and anemia. Nicole has contacts at a number of universities that will be conducting clinical trials and providing veterinary expertise during the development of the new drug. ERIK WHITEHORN Molecular Biologist - With 35+ years of experience, Erik has developed and applied multiple drug discovery technologies for the Biotech Industry including methods for heterologous gene expression, cell-based signal transduction assays, biochemical assays, and peptide display. Erik has carried out several successful drug discovery programs including the discovery of erythropoietin receptor agonists at Affymax, Inc. Other active molecules have been discovered for Avidia (acquired by Amgen, Inc.) and Catalyst Biosciences. TOM GERBE CEO, co-founder - Founded and operated a number of businesses in regulated industries. He brings over twenty years of experience working with the Government to this project. He has an established relationship with the FDA; extensive business development, web design and marketing experience. We are utilizing peptide library screening to discover novel molecular structures that bind to key cell surface receptors in both cats and dogs. This technology was co-developed by Dr. Schatz, and allowed us to screen more than 1 Billion different variant molecular structures, searching for ones that bind tightly to the target receptor. Activation of this receptor causes bone marrow to generate more red blood cells, curing the anemia. This screening effort yielded a number of positive hits, which could potentially be developed into a powerful drug. We are currently preparing for cell based assays to test the ability of our new peptides to activate the cat/dog EPO receptors. Shortly following this, a Proof-of-concept trial will commence to provide evidence of activity in vivo. Copyright © 2019 Companion Sciences, Inc. All rights reserved.